Get into the fall mode with this colorful wedding at Copper River Country Club. It was a hot day, but bride and groom look cool, collected and happily in love! Enjoy photos from Ely Roberts. 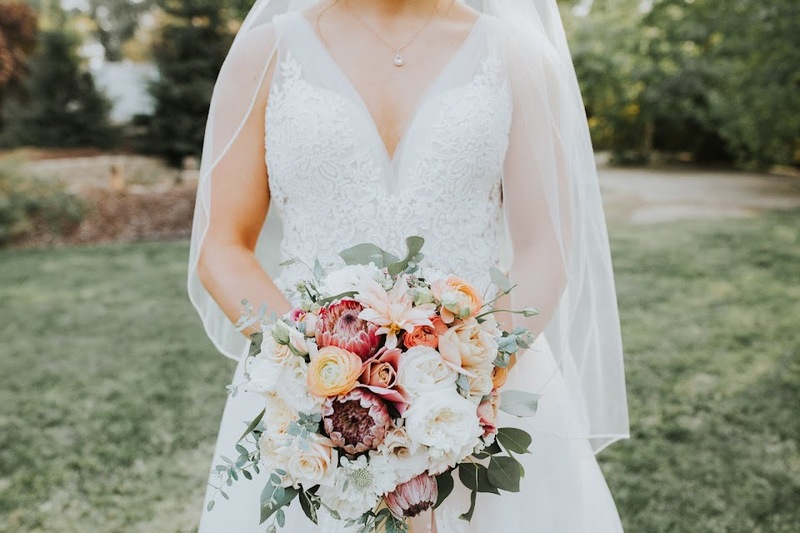 Take notice of the many brooches in the bouquet; family members contributed them to use in her bouquet.